Keep your dog warm this winter, with CPC's top seasonal tips! Now that the cold weather is really kicking in; we here at CPC thought it would be the perfect time to share a few top tips to keep your dog warm this winter. Dogs don’t have the benefit of pulling something cosey out of the wardrobe for themselves, so it’s important to adjust your fur pals routine to ensure his health and safety. 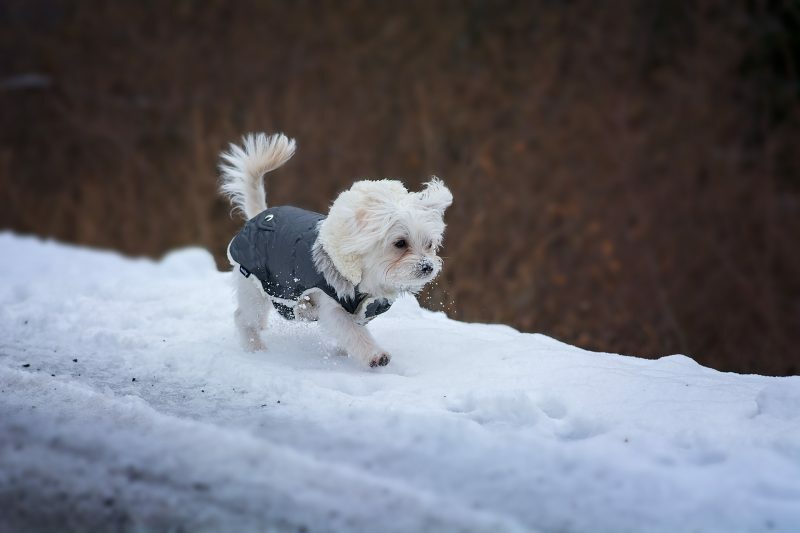 Many dog parents have the misconception that because their dogs have fur, they are prepared for the winter elements, but this is not the case. Most parts of the country tend to enjoy mild winters but we all know the weather can abruptly change and this can often be a shock to our pets. It may sound ridiculous, but if you have a short haired dog or it’s a breed that doesn’t do well in the cold then a coat for walks or playing outside would be beneficial. Just the same as bath time, drying your dog’s ears is very important when coming in from playing in snow. Wet / damp ears can cause painful ear infections. We all like to snuggle up on wintery nights so why should it be any different for our dogs, especially small dogs or dogs with thin coats. So keep your dog warm this winter; add an extra blanket to give them something to burrow themselves into. If your dog refuses to wear booties, then make sure you trim the hair on the paws. When the hair gets wet snow it freezes, then it remains cold and wet back indoors. Keep it short to keep it clean… But not TOO short. City dogs might require a balm to treat the effects from salted sidewalks. Vaseline is a great at home remedy, but don’t let them lick it! Dogs that are exposed to a lot of salt should have their paws cleaned regularly to prevent chronic dryness. Salt is really bad for your dog’s paws and can also be toxic for your dog, if ingested. The same goes for chemical de-icers that are used to thaw sidewalks or car windshields. Be aware of public treated areas and keep your pup away. Keeping up with grooming as it allows a fuller coat to grow in. Clumpy, matted fur doesn’t insulate as well as a clean coat, and it takes longer to dry. It’s going to be up to you to let them know when it’s enough outside play and get them inside and not just let them come back in when they’re ready. 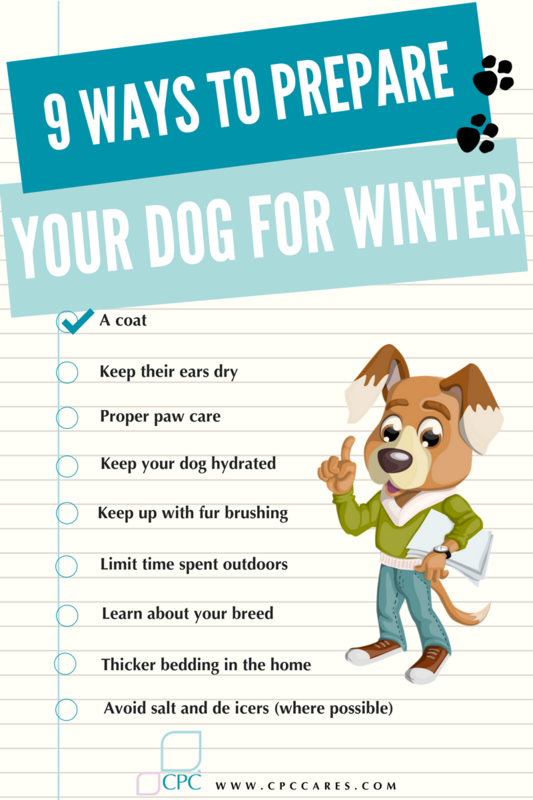 Some dogs require more care than others during the winter depending on their breed, so find out your dog’s specific needs. For more top tips, check our previous post on having a pet friendly winter!